As the day progressed yesterday with the news on Sirius XM on throughout, I listened as the details came in. 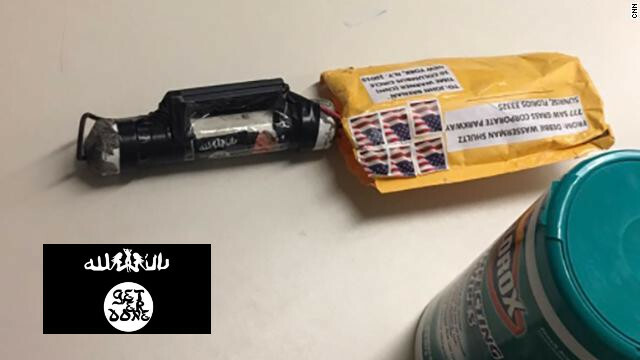 A serial bomber had begun a terror campaign with pipe bombs that may or may not be inert but still serving the desire of creating terror. As the day progressed it became clearer that the targets (now 8 of them with DeNiro) all were people who had crossed paths with Donald Trump and had been attacked by him in rhetoric and name calling. While on the face of it the terror plot seems pretty clear per the narrative of the bomber (e.g. sending Trumps self pronounced enemies bombs) it may be too early to really say for sure what the motivation is, if there is any, politically or socially from the UNSUB here and this is a point everyone needs to understand. As the days progress and more details are given by the FBI we will get a better picture once the investigation becomes clearer. Until then though, here are some thoughts on the UNSUB and the plot given the details we have. UNSUB in this plot is likely alone in this but more than one in a Folie A Deux cannot be discounted. UNSUB seems to be from the Tri-Sate area of NY given posting of packages and access to Soros home. IF we start seeing packages to polling places this will cement this line of thought. IF this individual was groomed by someone to carry out these acts it may well have been a nation state actor doing so. Use of these bombings will in fact be made by the RU and other actors as we have already seen on social media with the cacophony of narratives and meme’s to date.